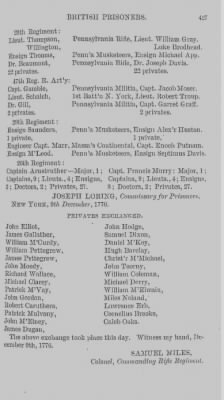 Papers Relating to the British Prisoners in Pennsylvania. If you're interested in Pennsylvania history and want information relating to historical events, facts about ancestors, or original documents to support a research paper, the Pennsylvania Archives is an important publication to explore. This series contains essential records relating to one of America's earliest colonies, from 1664 to 1780, including military, tax, marriage, and land records, as well as documents from American history covering the Revolutionary War and the Whiskey Rebellion.